Recently, I had the privilege of teaching an American Tactical Ju-jitsu class at the Agape-Do Karate Dojo on Sullivan’s Island. One of the “Dojo Dads” produced a very professional video of me going through the motions of Jo Chu Ji (Humanized Makiwara) with Kohai Daniel. When I first started training in the Martial Arts at Barkoot’s Karate School when I was 10, Andy Selcer was my first sensei. He instilled in me a deep love for the martial arts that continues to this day. 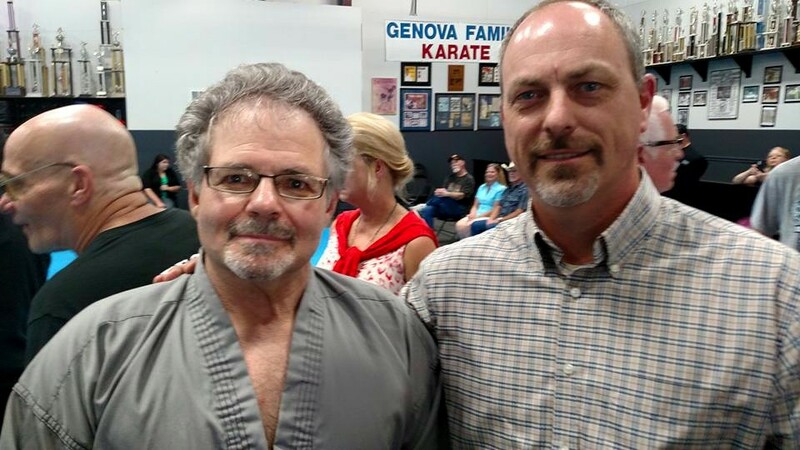 I recently had the opportunity to re-connect with him after over 40 years at a celebration of Mike Genova’s 4oth dojo anniversary in Columbia, SC. I also got to meet one of the great legends of the martial arts, Bill “Superfoot” Wallace. 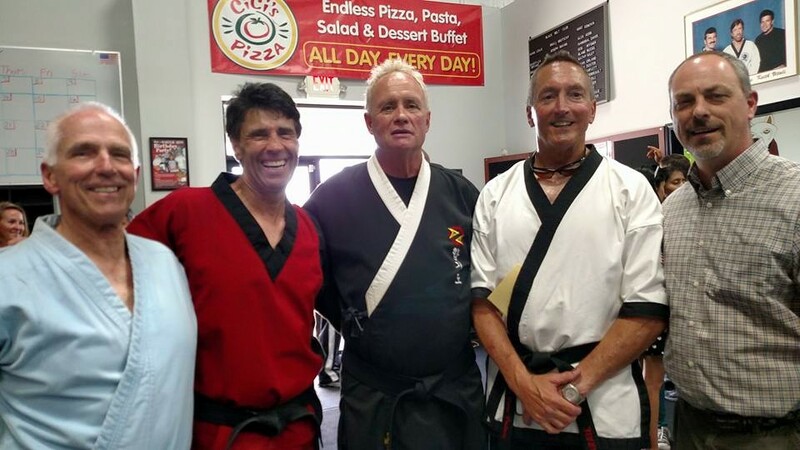 Some of the other karate greats from in and around the Columbia area were also in attendance including Pete Manchee, Rick Vitali, Bruce Brutschy, and Tim Haney. After a 7-month hiatus, we have re-initiated our ATJ course at the US Embassy in Kabul. The initial class was attended by about 20 highly-motivated students who did an excellent job in what was, for most of them, their first exposure to the marital arts. The Embassy Community Liaison Office (CLO) has been very supportive of our program, allowing us the use of the Eastside Country Club (ECC) on Tuesday evenings. In addition, the Kabul Embassy Employee’s Association (KEEA) has purchased some high-end Swain Flexi-roll Mats (developed by Judo Champion Mike Swain) from Dollamur Sport Surfaces for our use along with 6 Wavemaster bags from Century Martial Arts. Although it took almost a year for them to be delivered, we are grateful to have them as they will add a new dimension to our training. After gaining confidence with a standing Back Fall, a good confidence building drill is a Back Fall Over an Obstacle. Here’s a gallery of ATJ Back Falls taken at the US Embassy. Photos by Zach Souto. A heavy bag or fellow student can be used as the obstacle. Students should start with their arms crossed, chins tucked, and mouths closed. After sitting on the obstacle, they can use their legs to control their rate of descent. When the student develops some confidence, the instructor can add a gentle push to accelerate the fall, then a harder push as the student progresses. The hands should slap the mat, palms down, at about the time that the student’s shoulder blades hit the mat. Arms should be approximately 30-45 degrees from the body to avoid overextending the shoulder joint. Chin should remain tucked and the mouth closed to prevent injury. Disclaimer: The videos and posts contained in this website are designed to augment instruction under the guidance and care of a qualified and competent martial arts instructor. They are designed as a resource for students only. Practicing these techniques can result in serious injury or death to either the attacker or defender. Ray Nash, the Police Dynamics Institute, and other participants in the design of the training materials presented on this site assume no liability for the practice or execution of any of these techniques. Full liability and risk is assumed by any person choosing to practice them. During a recent ATJ class at the Embassy, we reviewed the Elbow Striking System. Here’s a few action shots taken by Zach Souto. The Front Elbow strike comes across the front of your face so that your arm protects your neck. Notice the hip rotation and how the heel of the right foot lifts off the ground slightly for additional rotation. The Rising Elbow strikes underneath the opponent’s chin. Notice how the center of gravity lifts to give extra upward momentum. In the Dropping Elbow, your center of gravity drops to add additional power to the strike. The Rear Elbow utilizes the opposite hand to augment the power of the strike. Your elbow should slide against your ribs as you strike to the rear and you should step to the side to align the strike with your opponent’s center line. The Side Elbow strike also utilizes an augmentation with the opposite hand and incorporates a side step toward your opponent for power. This Ippon Kumite Kata begins with Soft Block #3 and continues with a Shuto or knifehand to the throat targeting the larnyx. Next, the defender executes an outside wrist throw or Kote Gashi to take the attacker to the ground. Then he stomps to the attacker’s brachial plexus to traumatize the arm, and hyperextends his elbow in preparation for an arm-bar roll-over into a shoulder pin. At his point the defender checks his back for any additional attackers before deciding to continue with the defense. He places his knee across the attacker’s shoulder blades in a 45-degree angle to complete the shoulder pin, then transitions into a bar hammer lock to further disable the attacker. The Ippon is completed with an eye-gouge/cervical crank followed by a head smash and shoulder roll escape. Note: Be extremely careful when practicing this transition with a training partner as it is easy to overextend the shoulder joint. The defender should use his right hand to gently bend his partner’s elbow while transitioning into this lock. This instructional training video was filmed at the US Embassy in Kabul, Afghanistan and produced by one of our American Tactical Ju-jitsu students, Catherine Hartman. Many thanks to her and Bernie Stone, the uke in this video. American Tactical Ju-jitsu is a street-oriented, "blended" martial art. 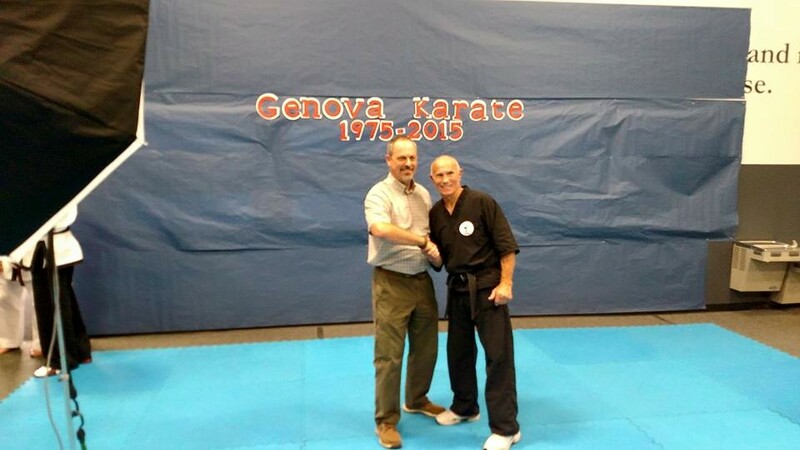 This website is dedicated to two martial arts legends who contributed greatly to the development of ATJ: Grandmaster Joe Hess (American Tactical Goju) and Professor Rob Evans (Modern Vee-jitsu). The videos and posts contained in this website are designed to augment instruction under the guidance and care of a qualified and competent martial arts instructor. They are designed as a resource for students only. Practicing these techniques can result in serious injury or death to either the attacker or defender. Ray Nash, the Police Dynamics Institute, Focal Point Martial Arts, and other participants in the design of the training materials presented on this site assume no liability for the practice or execution of any of these techniques. Full liability and risk is assumed by any person choosing to practice them.